With his dying breath, Bobby Lowell begs Ellison Russell, "Tell her I love her." Worse, a killer has Ellison in his sights, her newly rebellious daughter is missing, and there's yet another body in her hostas. Mother won't be pleased. Now Ellison must track down not one but two runaway teenagers, keep her promise to Bobby, and elude the killer - all before her next charity gala committee meeting. 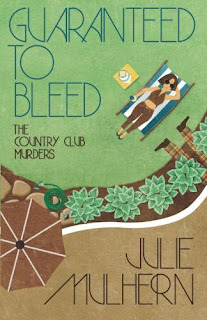 It is the 1970s, and Ellison Russell and her daughter Grace have recently returned from an extended trip to Europe following the death of her husband. Shortly after her return home, she is attending a high school football game, where Grace is a cheerleader. Ellison accidentally drops her lipstick under the bleachers. Because she bought it in Paris (and paid way too much for it), she goes to retrieve it. Finding an opening in the fence and entering, she is hit by someone running to get out. When she recovers from being pushed to the ground, she hears someone groaning and follows the sound. What she finds is a local boy, Bobby Lowell, bleeding from a serious injury. While she attempts to stop the flow of blood, and yells for help, he whispers something to her - "Tell her I love her." Cryptic words, and Ellison has no idea who 'her' is. She is soon joined by a man who begins to question her and what she was doing there, and, to Ellison's eyes and ears, is extremely rude in the process. Once Ellison returns home from the hospital (after receiving treatment for an injury she sustained while trying to find someone to help) only to find her house full of teenage girls, all wanting to know about Bobby. Among them is Donna Richardson, who has recently joined the circle of friends. When everyone finally goes to bed, including an exhausted Ellison, she is awakened early by someone at her door. What she finds is the man who questioned her the night before, identified as Jonathan Hess, and is demanding she get his daughter. Even as Ellison is explaining they were up late and he should let her sleep, he refuses, and shortly a subdued Donna arrives and they leave. Ellison decides then and there on the spot that her first impression of him is right. When Ellison visits Bobby's mother CeCe later that day, she finds there are other visitors: a very drunk Kizzi Standish and her daughter Alice. They have been there for hours and refuse to leave. Alice is under the delusion that Bobby loved her and is staying for 'emotional support,' but Ellison can see that CeCe is almost desperate in her desire to rid herself of them. So she does something she would rather not do: she calls her mother Frances for help. Soon Frances arrives, followed by Howard Standish, who takes his family and leaves. Ellison, sure that Alice is not the girl Bobby loved, leaves when CeCe's sister finally shows up. Determined that she will fulfill a boy's dying wish, Ellison subtly questions those around her who might know, but it seems nobody knew of anyone he was seeing - not Grace nor her friends; not Bobby's best friend Jack McCreary, not even Bobby's mother. Not willing to give up her search, and not willing to share it with anyone else, Ellison finds herself a determined woman on a Quest. That quest, however, often puts her in situations she would rather not have gotten into in the first place, many of which I won't go into here. Let it suffice to say that she does, eventually, need the assistance of both Anarchy Jones, the delicious cop with the smoldering eyes who gives her butterflies in her stomach, and Hunter Tafft, the imperturbable attorney whose touch makes Ellison's legs turn to jelly. Hunter is so smooth, he could sue his own mother and she'd agree it is a wonderful thing to do. Two men she would rather avoid, given her history with her late husband, and not as easily solved as a murder case. Ms. Mulhern has again given us a book with a plot as intriguing and intense as her first in the series, The Deep End. Although this book deals with a dark subject that is just as relevant today as it would have been then, she is faced with the task of seeking answers before the age of Internet and cellphones, when finding the truth wasn't as easy to do; and she does it handsomely. 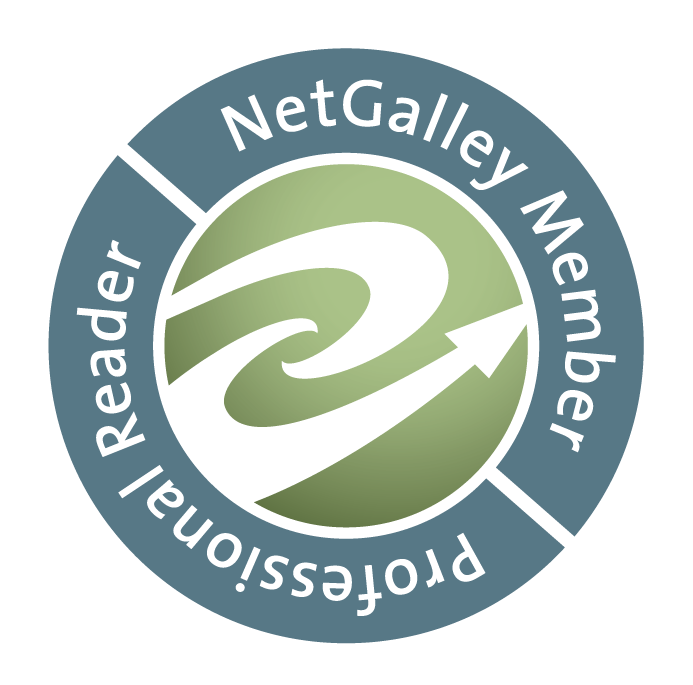 Weaving an intricate plotline, and doing it without the protagonist running to the computer for information, could not have been easily written, and she does it with a masterful touch. When we finally get to the end of the book, and everything comes together, there is a sense of satisfaction in the outcome, even knowing that in some things in life there may never be closure. Highly recommended, and I believe with books such as this, Ms. Mulhern will never disappoint. 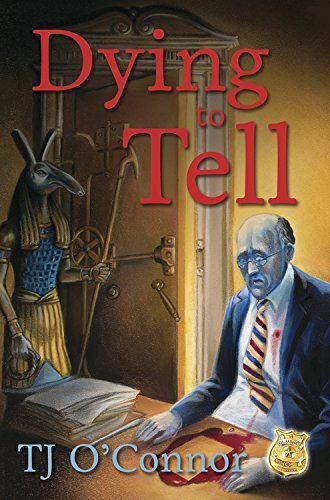 Tuck, the detective for the dead, knows there's more to Mendelson's murder than haunting family secrets and decades-old skullduggery. With Angel and his detective partners, Tuck's guided by his long-dead grandfather, World War II OSS Captain Oliver Tucker I. Ollie is still on a mission from 1942 as murderers, thieves, and spies descend on small-town Winchester. As the case unfolds, Tuck must also confront the growing distance between his death and Angel's life - and the outcome is a killer of its own. Oliver Tucker is a former homicide detective with the Frederick County Sheriff's Office, with a beautiful wife, Angel, a black lab named Hercule, and his best friend is his partner, 'Bear' Braddock. Did I mention he's also dead? 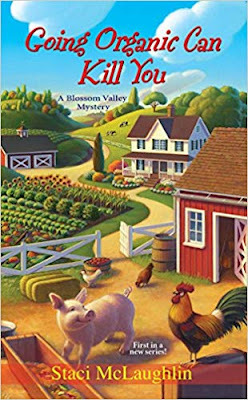 Now, before you start thinking this is just some dead cop who sits at his old desk and does his job, this isn't that kind of book. You see, Tuck (as he is known to everyone) is still doing his job...sort of. Bear can see and talk to him, and so can Angel and Hercule. But that's about it. So far. (Let me elaborate later). He heard noises in his house one night, went to investigate, and was shot dead on the spot. Now he's dead, but not gone. Angel is on her way to a meeting when someone comes running out of the building and grabs her as a shield. After a couple of useless attacks on the gunman, Tuck becomes filled with rage and strikes the gunman several times, which causes him to release Angel. Almost immediately, two people come out after him; a security guard and the head of security. While outside, Tuck hears a voice tell him 'it ain't over,' and to follow him into the suite of William H. Mendelson, Chairman of the Board, First Bank and Trust of Frederick County. He enters the office and goes through a doorway which leads to a stairwell into a sub-basement. He sees a vault, with its door ajar, but before he enters, he looks over at the person guiding him and sees a man in a bomber jacket and baseball cap, who motions him inside. When he enters the vault, he finds Mendelson dead, shot through the heart. When he returns to the surface, he tells Bear and Angel about finding him. So Tuck and Bear go into the vault, and notice that there are Egyptian artifacts everywhere, but there are no clues as to who the shooter could have been. While there, Tuck touches something and leads to a flashback (which happens a lot). This time it's a fire, and a fireman is carrying someone out of the vault, and the fireman following him is struck with something and injured. Tuck doesn't know what it means, but he does know it means something. Cal Clemons, another detective who is helping Bear work the case, tells him that he knows William, because he used to hang out at the Kit Kat Club, where Cal plays trombone, and was friends with the owner, Keys Hawkins. Bear, who had no idea Cal did anything else for a living, goes to the club, and not only meets Keys, but also Keys' granddaughter Lee, who runs the club. And it seems that Lee now has a keen interest in Bear. Yet Bear is trying to keep her at arms' length until he finds out exactly how Keys is tied into this case and how much he knows about William's murder. As Tuck helps Bear work the case, he's being tailed by the man in the bomber jacket, who appears at odd times to prod him to something more, but keeps telling him "it ain't what it appears to be." Cryptic words that Tuck must decipher, and trying to find out who he is in the process. When he finally does find out that the man is his own grandfather, OSS Officer Oliver Tucker I, with the help of Doc, his great-grandfather, it is another piece of the puzzle of Tuck's life. With the help of Ollie, Tuck digs into the life of William and finds more than he bargained for. Not only the fact that William's son Marshal seems to not care about his father's passing, but a life that began on this journey during World War II and brought him to this end in the present day. It is a mystery that involves not only WWII, but German spies, smugglers, and thieves. There isn't anything else I can reveal about this book - but, oh, do I want to! - except to say that not only is it well written, all the characters are believable, even Tuck. Especially Tuck. We watch him carry on as Bear's partner, unseen and unheard by all around him (again, so far), and struggle with his relationship with Angel: yes, they're married, but he's dead and she's young and alive, and tells him that she needs time alone, needs to go out once in a while, enjoy herself - without him; which, even as it hurts him, he begins to realize it's true. But then two things happen that begin to change things altogether, and you will have to read the book to find out what those two things are. The blurb and the cover should be enough to get you reading this book, but if it's not, let me add this: I read a lot of books, and many of them are series. But this is one series that in every book, it adds something new, and just gets better. If you have not read any of these (this is the third in the series, the first being Dying to Know and the second Dying for the Past) you should. Start with the first and it only gets better from there. There is just enough of a teaser at the end of these to let you know that waiting for the next is very hard indeed, and this one, especially, left me wishing I could dig right into number four (please hurry). Highly recommended. A beloved film comedienne who worked alongside the Marx Brothers, Laurel and Hardy, and dozens of others, Thelma Todd was a rare Golden Age star who successfully crossed over from silent films to talkies. this authoritative new biography traces Todd's life from a vivacious little girl who tried to assuage her parents' grief over her brother's death, to an aspiring teacher turned reluctant beauty queen, to an outspoken movie starlet and restaurateur. Increasingly disenchanted with Hollywood, in 1934 Todd opened Thelma Todd's Sidewalk Cafe, a hot spot that attracted fans, tourists, and celebrities. Despite success in film and business, privately the beautiful actress was having a difficult year - receiving death threats from a stranger known as Ace and having her home ransacked - when she was found dead in a garage near her cafe. An inquest concluded that her death, at age just twenty-nine, was accidental, but in a thorough new investigation that draws on interviews, photographs, documents, and extortion notes - much of these not previously available to the public - Michelle Morgan offers a compelling new theory, suggesting the sequence of events on the night of her death and arguing what many people have long suspected: that Thelma was murdered. The suspects include Thelma's movie-director lover, her would-be-gangster ex-husband, and the thugs who were pressuring her to install gaming tables in her popular cafe - including a new, never-before-named mobster. This fresh examination on the eightieth anniversary of the star's death is sure to interest any fan of Thelma Todd, of Hollywood's Golden Age, or of gripping real-life murder mysteries. Many people (at least those interested in old Hollywood) have heard the stories and untimely deaths of actresses Marilyn Monroe and Jean Harlow. But not as many have heard of another beautiful blonde actress, Thelma Todd, who also died young and tragically at the age of twenty-nine. Fortunately, I, being a great fan of classic movies, have known about her and seen her films. She was beautiful, smart, nobody's fool, and had a very definite view of what she wanted out of life. Thelma began life in Lawrence, Massachusetts with parents who loved each other, and a brother who also tragically never made it into adulthood. She was either dismissed from jobs or never hired because of her being 'too beautiful'. She trained to become a schoolteacher, but was convinced to enter a beauty contest; and one thing led to another which resulted in her becoming Miss Massachusetts. This, in turn, eventually led to becoming a stock player and moving to Hollywood. She was soon paired with the actress ZaSu Pitts (later Patsy Kelly) and the two made a series of comedy shorts for the Hal Roach studios, which even today are quite funny, showing off a true talent for comedy. Eventually she had minor supporting roles in films with Laurel and Hardy and the Marx Brothers, all of which stand the test of time (I encourage you to find these gems and watch them - a great example is Monkey Business with the Marx Brothers). But Thelma wanted more; she wanted to become a serious actress, but was only rarely given the chance. If you find any of these films (she has a great turn in the original Maltese Falcon [aka Dangerous Female] as the widow of Miles Archer) you won't be disappointed. She could stand with the best of them, and even among these greats, you can't help but notice her. While her professional life was somewhat stable, her personal life was less so. After the untimely death of both her brother and her father, she became everything to her mother. When she moved to Hollywood, her mother moved with her. There were times when it became too much for her, and though she loved her mother Alice, deeply, she felt the need to escape occasionally. Thelma in her life suffered a tragic love affair (although she should have known it probably wouldn't end well), and a short marriage to Pat DiCicco that may or may not at one time been happy. She was known to have been loved by anyone who knew her or worked with her, due to the fact that she genuinely cared, and it showed. Unfortunately, her life was also marred by problems: she began receiving threatening notes from someone named Ace, who demanded money and told her if she didn't pay up, she would be kidnapped. Her apartment was ransacked, and several expensive items were taken. But when her disillusion with Hollywood grew, partly because of the fact that she felt she was getting older and would never be given the chance to achieve true stardom, her ex-lover Roland West offered her a way out: open Thelma Todd's Sidewalk Cafe; together they created a place where everyone stopped and dined, and Thelma had an apartment above the cafe where she was able to stay when the days were long and she was tired. But a curiosity of it was the fact that the garage where she kept her car was much farther up the hill on which the cafe was nested: in fact, a long 271 steps to the top. It was a habit that Thelma's personal maid Mae Whitehead would park her own car there in the morning, then bring Thelma's down every day for her use. It was there that when arriving one morning Mae found Thelma's body slumped over in the car, sitting in the driver's seat. How she got there and why is a true curiosity to this day. The chauffeur she hired for the night out had dropped her at the Cafe, and assumed she had gone to her apartment above. Her shoes were not scuffed from the long walk (being fairly new); her hair was not mussed from the high winds. She was still wearing the clothes she had worn a day and a half ago, the last time she was seen, among other things. There have been many theories about how and why she died - the most common being that she was murdered by Lucky Luciano (or one of his cohorts). None of the theories have ever been proven, but it was determined that she died by carbon monoxide poisoning, a sad end to a remarkable woman. Why she was in the car instead of going up to her apartment has never quite been determined - and theories about that abound as well. In the end, with the death of Miss Todd, the cinema lost a gifted comedienne, and who knows but a gifted dramatic actress also who was never given the chance to broaden her repertoire. 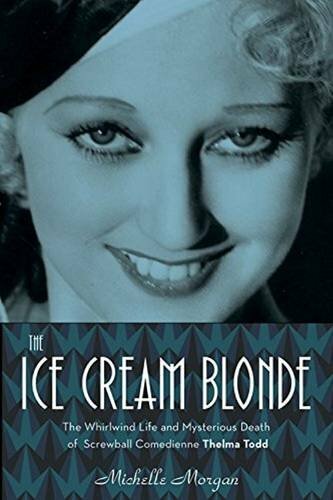 I found the book highly informative, adding to what I already knew; well written and with much research, giving us an insight into the true Thelma Todd, from her beginnings in Massachusetts to her demise in California. Highly recommended. The Charleston streets are dressed for the holidays in sophisticated Southern style: topiaries adorned with red ribbons, garland entwined with white lights, and poinsettias potted in gold planters. The high class bordello in a stately historic home is certainly no exception. 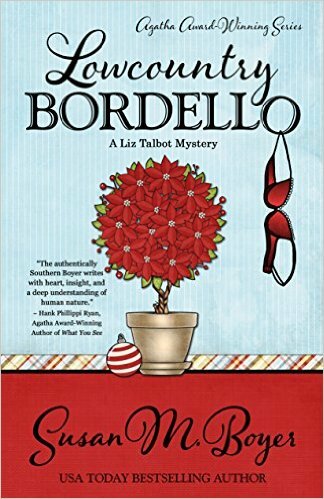 When Private Investigator Liz Talbot's dear friend Olivia swears she saw a dead body in the parlor of this bordello, one Olivia accidentally co-owns, Liz promptly comes to her aid. With her wedding back home on Stella Maris less than a week away, Liz must juggle one elderly madam, two ex and future in-laws, three ghosts in the bordello, four giddy bridesmaids, five lovely courtesans, six suspicious patrons...and a partridge in a pear tree as she tries to keep her bridesmaid out of jail and live to walk down the aisle. 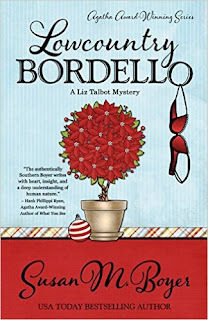 It's Christmastime in Charleston, and also four days before Liz Talbot is finally marrying Nate Andrews, and she's deep into preparations when Robert, the husband of one of her bridesmaids, calls her for an urgent meeting. It seems he wants to hire her because he believes his wife Olivia is having an affair. Since Olivia is one of Liz's oldest friends, she urges Robert to find someone else. But later that night she receives another urgent call, this time from Olivia, who insists that Robert is dead, killed inside the home of her Aunt Dean, who owns a 'boardinghouse' for young women, the 'nieces' of powerful Charleston men. When Liz arrives and convinces Olivia to go back inside, there is no body - no evidence at all of any kind of a murder. Yet Olivia is insistent that someone was dead on the rug, and even though Robert is alive and well, Liz is suspicious. Especially when, the next day, there is a body which turns up in a nearby park. Olivia is now afraid that it will somehow lead back to her aunt and that if any scandal leaks out about the home, it will ruin her family's life, so begs Liz to investigate. Along with this, her last-minute wedding preparations are getting hairy. She still has a dress fitting, rehearsal, an early Christmas with her family, and dealing with Nate's parents - who are soon to be her in-laws and have been her ex-in-laws (a long story involving her first marriage to Nate's brother Scott the Scoundrel), which aren't making her life any easier. And there's always Colleen, her best friend from high school who is now her guardian spirit (in a way) who is helping her with the case but she can't tell Nate about, or Colleen goes away forever. Whew. That's a lot of problems to be dealing with at once. But Liz, who is as smart as she is determined, isn't about to let a small thing like a wedding get in the way of her finding out the truth - even if it puts her own life in danger. And when she starts digging into the lives of the women and their suitors, she finds out more than she bargained for, and not only could put her life in danger, but that of the women themselves. That's all I'm going to tell you about this book except to say it is wonderfully written, and while all the characters may seem confusing, it's certainly worth the read. Not a single one is superfluous to the story; and it's worth writing all the characters down to keep them straight if you need to do so. The tale had me riveted right to the end. Yes, it began to feel pretty frenetic, but that's what weddings are when you get close to the date, and Liz had the unenviable task of also solving a murder, so the pace of the book stayed right in line with what would have happened in real life. And I always believe that if it wouldn't happen in real life, it shouldn't happen in a book (some genres excused). There is a pretty humorous scene towards the end involving Nate's mother Glyn and Liz's father, which had me smiling, and added a dose of lightheartedness, right where it needed to be. When the case is wrapped up, it becomes more involved than anyone could ever have thought, and Ms. Boyer doesn't disappoint. Highly recommended. Nursing a broken heart, Robbie Jordan is trading in her life on the West Coast for the rolling hills of Southern Indiana. After paying a visit to her Aunt Adele, she fell in love with the tiny town of South Lick. And when she spots a For Sale sign on a rundown country store, she decides to snap it up and put her skills as a cook and a carpenter to use. 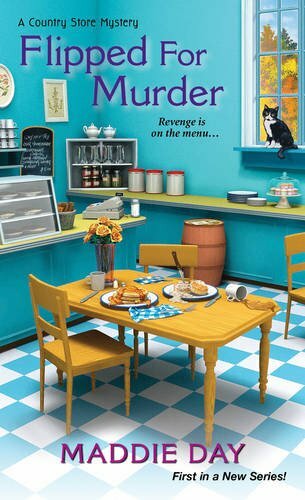 Everyone in town shows up for the grand re-opening of Pans 'n Pancakes, but when the mayor's disagreeable assistant is found dead, Robbie realizes that not all press is good press. With all eyes on her, she'll have to summon her puzzle-solving skills to clear her name, unscramble the town's darkest secrets, and track down a cold-blooded killer -- before she's the next to die. Robbie Jordan has just opened a restaurant, Pans 'n Pancakes, in South Lick, Indiana, that serves breakfast and lunch. On one particular day, the newly-elected mayor, Corrine Beedle, and her assistant, Stella stop in for a meal. It's no secret that Stella, a disagreeable woman, tried to stymie Robbie in her quest for the restaurant every step of the way, and that the two dislike each other. So when Stella is murdered shortly after, Buck Bird, the 'second in command' of the local police force, goes right up and asks Robbie if she did it. Robbie, of course, denies it, but figures if she's on the suspect list, she'd better try and find out who did it before she's the one arrested. So while her customers are dining at her place, she's quietly grilling them about who might have and why. As she talks with others in the town, she not only finds out that Stella was not nice, not at all; but that more than one person might have had a reason to do her in. She also discovers something else: one of the townspeople, Don O'Neill, hints at an old relationship with her mother that leads Robbie to try and find out who her father is, and if he's interested in meeting with her. Robbie obviously doesn't know anything about cats (and no, I'm not going to elaborate). Another thing is that Jim, her real estate lawyer/wanna be boyfriend, seems surprised when he finds out she's a leftie and does crossword puzzles in ink. I'm a leftie (and so is my husband). I do crosswords in pen...every day...and I've never gotten ink on my hand. Why would anyone think just because someone is left-handed they must write only in pencil? Plus, she's lived there three years, does her own carpentry, and doesn't know who the owner is of the local hardware store in this small town? She only recognizes him from campaign posters around town? That, to me, just didn't make sense. But I did like the secondary characters and would have liked to know more about them; I hope in future books we'll be able to know more about Phil, Adele, Danna, even Turner, the mayor's intern (I rather felt sorry for the poor guy). And I definitely want to know more about Robbie, her search for her father and her mother, and what happened to their relationship. Still, as Robbie progresses in her investigation, she discovers that someone is trying very hard to put her out of business before she has a real chance to make a go of it, and that she might be putting herself in danger from being the second victim as she gets closer to finding the real killer, which must be done before she loses her restaurant. A satisfactory ending to this book, and I look forward to the next in the series. Recommended. Besides her waitressing gig, Rose works part-time for Andre Thomas, a PI with no faith in Rose's ability to investigate, her love life with Sullivan has stalled, and her BFF, Roxy, has found a new bestie, leaving Rose out in the cold. Determined to prove herself, Rose takes a case on the sly. As she searches for a missing MMA fighter, Rose discovers an illegal fight club, a group of ruthless businessmen, dead bodies, and a trail of drugs. Hunting down clues that lead too close to home, Rose finds herself in the fight of her life. 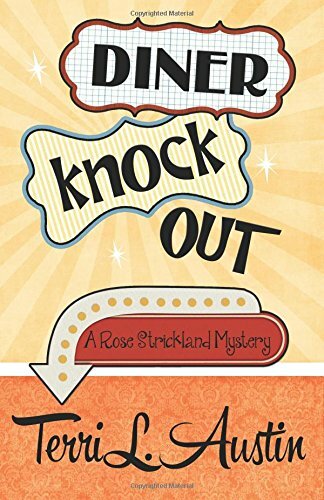 Can she beat the killer to the punch before she gets knocked out for good? 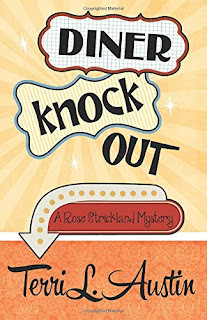 Rose Strickland works in a diner in the morning and for a PI, Andre Thomas, in the afternoons. She's learning the trade, per se, but is usually relegated to background checks and filing. Occasionally, her boss will allow her to come along on a stakeout, but that's about the extent of it. She also works as a waitress, but her best friend Roxy seems to be pulling away from her. Roxy has been hanging out with Sugar, a burlesque artist, and Rose feels left out. Her boyfriend, Sullivan, he of the not-so-above-board enterprises, isn't always available and just shows up at her apartment sporadically, and it's beginning to bother her - especially since she gave him a key but he hasn't reciprocated, making her question his commitment to her. So Rose has a full plate. But one day, when Andre is out of the office, she receives a visit from Kai, a man who says his friend Rob Huggins has disappeared - he's been gone for several days, but the police won't look for him because he's a grown man and they have no reason to believe anything has happened, and think he just decided to leave. Rose accepts the missing person case, but doesn't bother to tell Andre. She figures if she can solve this simple case, then Andre will have to see her as a valuable employee and give her more exciting work to do. What Rose doesn't know is that by accepting this case, she's getting much more than she bargained for. More, in the fact that it's not just a missing person she's looking for. When Andre does find out what she's doing, Rose considers herself lucky that he doesn't fire her, but instead agrees to help her - with a time limit on the case. Rob's being missing is only the tip of the iceberg. The more Rose digs her heels in, she finds that the search for Rob brings her to an illegal fight club, one that involves Sullivan and his cohorts, and even though he asks her to back off, she's not going to, which angers him and frustrates her. This book, I must say, was very well-thought out and complicated, as much as it was intriguing and compelled me to stay with it until I finished, not wanting to put it down. The characters all seem real, and the plot so well written that I wish the next book in the series were available to read right now. Rose's relationships with others might be complicated, but she does her best to make them all work, even finding out things about herself in the process. As for her relationship with Sullivan, one can actually feel the chemistry between the two fairly electrify the pages. (Which is a very good thing, I tell you). When the pieces begin to mesh, and Rose starts to put it all together, you can almost feel the tension she feels, and the anxiety of the surrounding characters. And at last when we are in the final chapters of the book, even though we know the identity of the killer and pretty much how the book will finish, we want nothing more than for it to go on. Ms. Austin is a very talented author, and her books do not disappoint. I greatly anticipate the next book in this series and will be watching for it. Highly recommended.